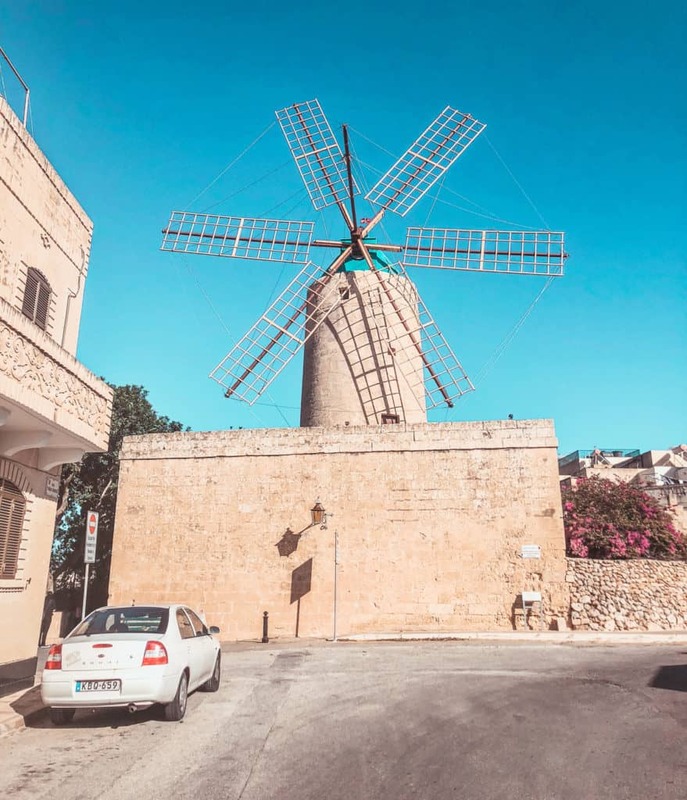 In this post, you will find out, what to do during a day trip from Malta to Gozo. 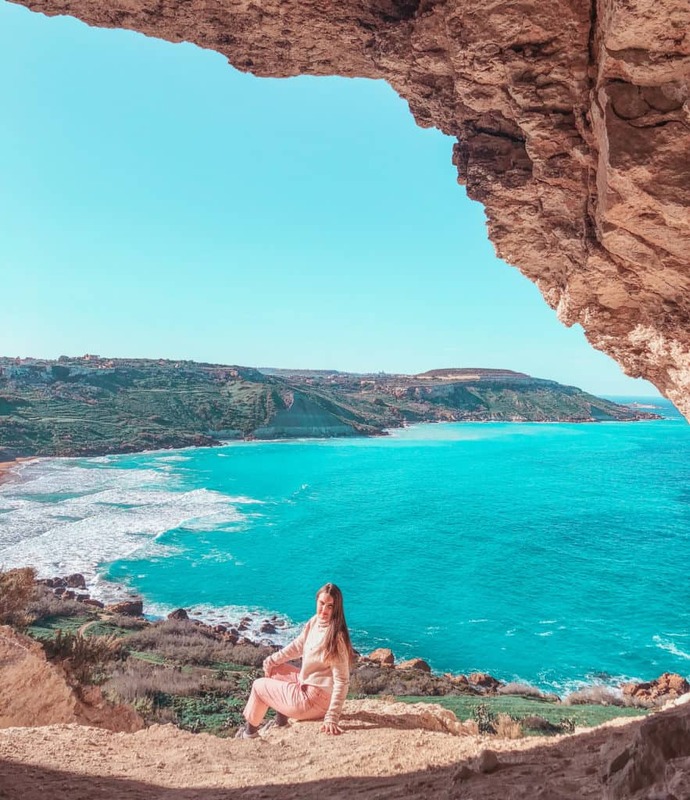 I will share with you the best itinerary for Gozo and tell you what are the best things to do in Gozo. And of course, you will find out everything about the ferry from Malta to Gozo, the best restaurants in Gozo and the best points of interest in Gozo, a stunning island in Malta. I wanted to say big thanks to Walter from Corinthia St. George’s Bay Malta (we stayed there and would 100% recommend this hotel), who was doing his internship in Malta and shared with us his proposed itinerary. We followed most of his suggestions and thus, big thanks to him for suggesting us such a great route. I know, I promised you to publish this post a while ago, but things have been crazy lastly. 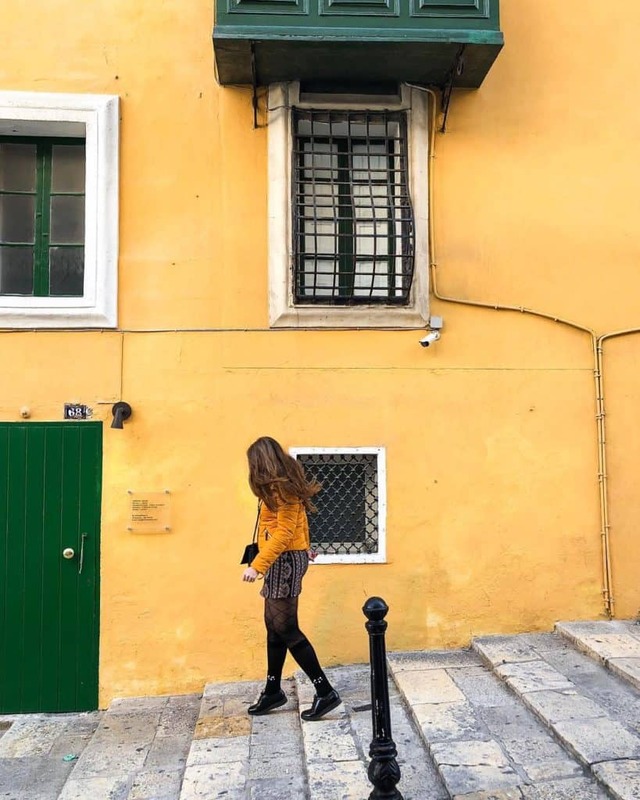 Half a year has passed since our trip to Malta (read about our experience in Malta in winter – it’s still amazing), and we’ve been to France (twice), India, Bahrain, Luxembourg, Turkey, Russia (twice, including the World Cup). Maldives, Moldova and Sweden. And I had to write blog posts about all of the destinations as well, so you can imagine, how busy it was. 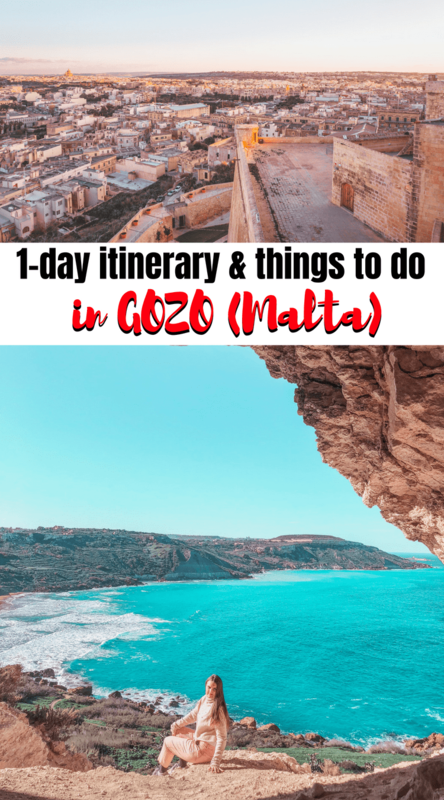 Nonetheless, now, amidst packing to move to our new flat in London and packing to go for a weekend to Italy at the same time, I found a bit of time to tell you about our day trip from Malta to Gozo. So let’s get started with the post. What is Gozo in the first place? Is Gozo in Malta? 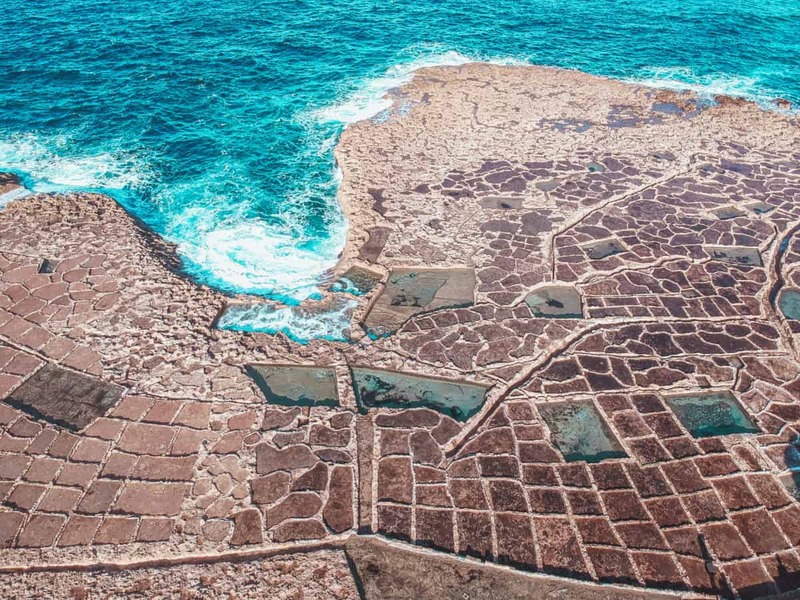 In case you’re confused what exactly is Gozo and where is it, let’s get everything clear. The Republic of Malta is an archipelago, and it consists of 3 inhabited islands and more less significant uninhabited islands (about 11). The three important islands are Malta, Gozo and Coming. The capital of Malta is located on the island of Malta. However, Gozo is also very important and has a population of over 30,000 people. Gozo is smaller than Malta Island. However, there are plenty of things happening in Gozo, and there is a lot to see as well. Getting from Malta to Gozo is very easy – there is a huge ferry that goes every 45 minutes. During the peak times, the ferries can go a bit more often – approximately, every 30 minutes. The ferries are big enough to transport cars, and however, during the busy times, there is a massive queue of cars waiting for the ferries. For example, we had to wait for about 2 hours and got inside the 5th ferry. Good thing that the journey time is only 25 minutes! There is no airport in Gozo, so if you’re planning to stay in Gozo, you need to arrange a Gozo airport transfer. If you’re travelling without a car, then you won’t need to skip any ferries. However, it wouldn’t be so easy to explore Gozo without a car and go to some of the places I suggested in the itinerary below. If you’re okay with visiting only some of the sites, you can take a hop-on-hop-off bus tour of Gozo and see the main landmarks of the island. It’s also possible to hire a car in Gozo, but that would make sense if you stayed in Gozo for longer. I would recommend hiring a car in Malta (check availability now) and then going to Gozo for a day or two. To check the latest Gozo ferry times and the updated ferry schedule from Malta to Gozo and vice versa, check the official website of the Malta – Gozo ferries. If you decided to come to Gozo for longer than a day, you’d probably need a place to stay in Gozo. 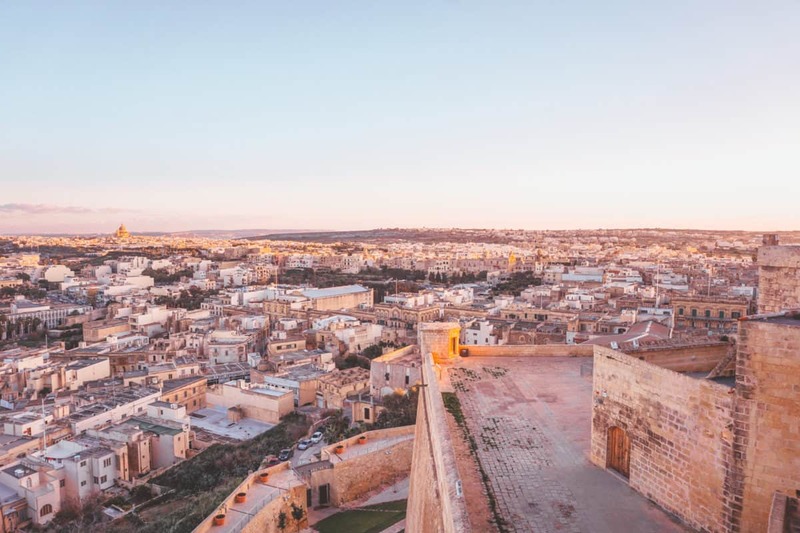 There are plenty of villas, airbnbs and hotels in Gozo, but these hotels are the best rated and most demanded (check their availability to ensure they aren’t sold out for your dates) – Villa Al Faro, King’s Lodge and Hotel San Andrea. You will arrive at Mgarr Ferry terminal in Gozo, and I would recommend you to check the return schedule right away. 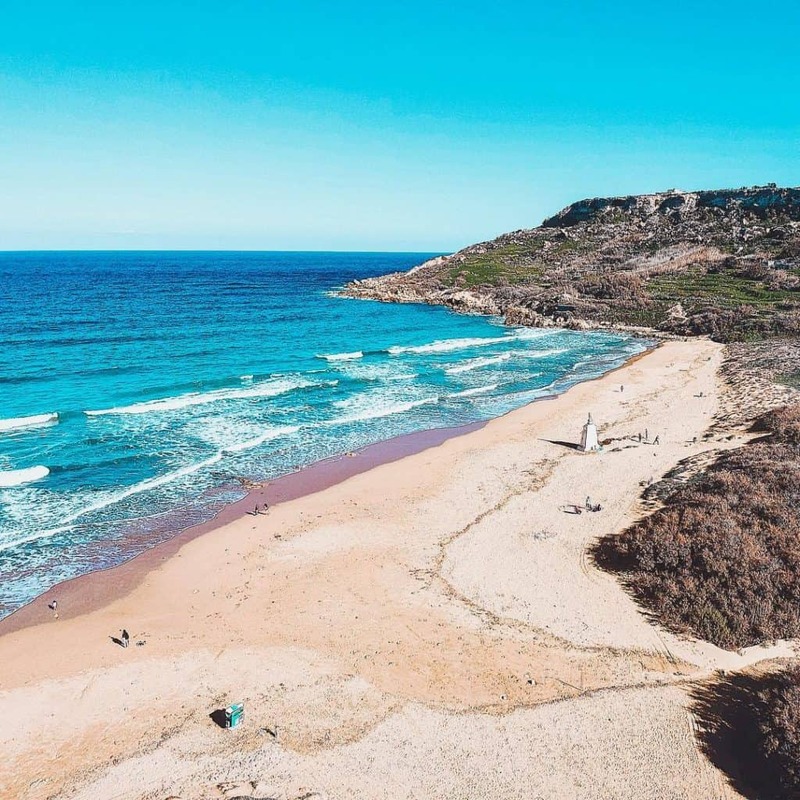 From the Mgarr Ferry terminal, it’s the easiest to get to the Ramla Bay – a beautiful sandy beach in Malta (well, technically, not on the Malta Island, but in Gozo). Later on, you can drive to Tal Mixta Cave. It’s not a part of a hop-on-hop-off bus route, so for this hidden gem, you will need to hire a car. The road is pretty bad on the way to the cave, but the view is so worth it! Ggantija Temples is a complex with Neolithic temples, and it’s very impressive. We didn’t go inside the Ta Kola Windmill, but it looks impressive from the outside. However, if you don’t have that much time in Gozo, you can surely skip this one. Marsalforn is a charming village in Gozo. There are plenty of caves to visit around Marsaforn, so if you’re staying in Gozo for a while, you can visit them all. The Salt Pans are located just after Marsaforn, and they are very impressive. We managed to launch a drone above them to get this interesting aerial shot with my drone. 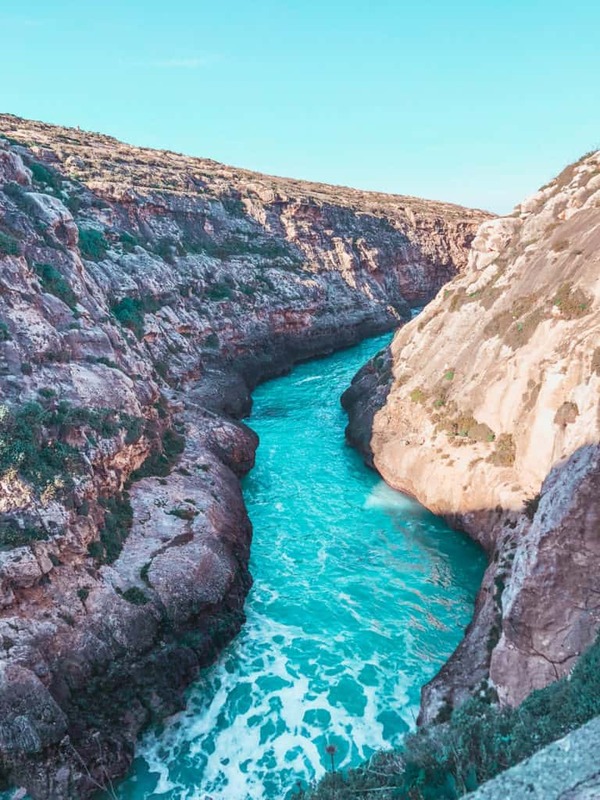 Nest stop in the Gozo itinerary and one of the most exciting points of interest in Gozo is Wied il-Ghasri or the Ghasri Valley. This is a magnificent valley with crystal clear blue water. After visiting the Ghasri Valley, you can head to Ta Pinu, a very impressive Roman Catholic Basicila, located very close to the village Gharb. We didn’t have time to visit this one, but we looked at it from outside. Some years ago you probably heard of the Azure Window collapse. The Azure window was a gorgeous natural arch in Gozo, and you might have even seen it featured in the Game of Thrones. The destruction of the Azure window was all natural and hardly could have been prevented. 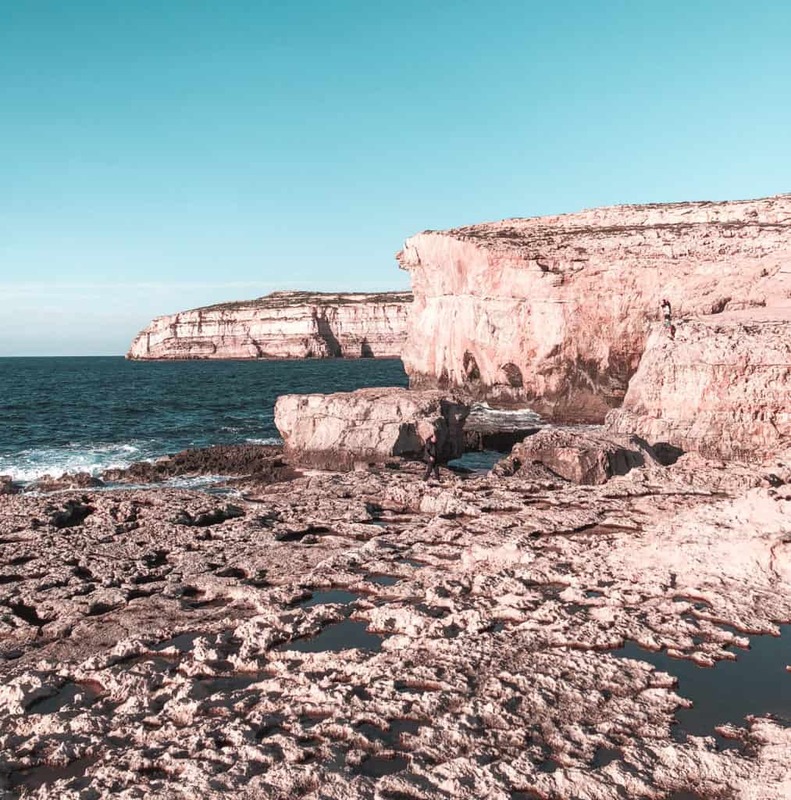 Even though the Azure window now is not as impressive as it used to be, it’s still 100% worth visiting Dwejra Bay because of the vast landscapes and the beautiful inland sea. 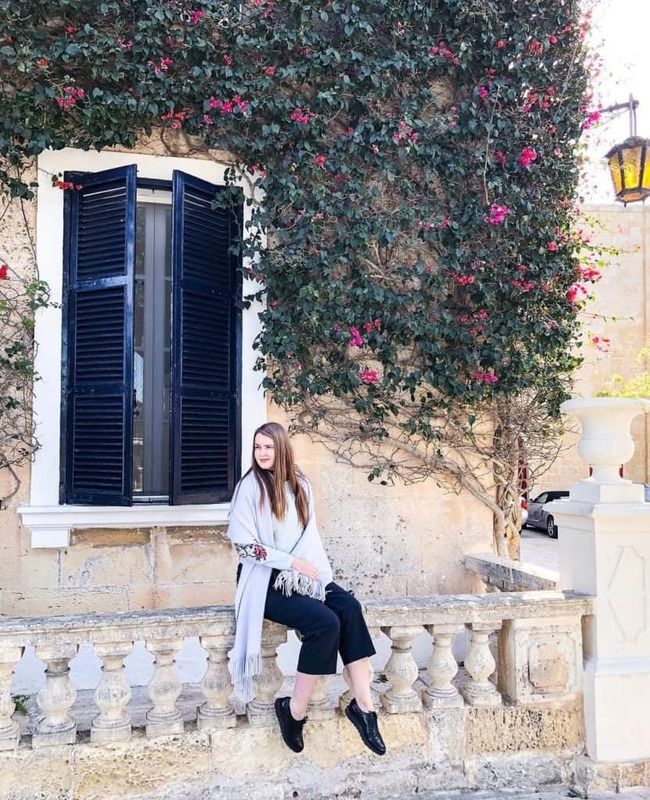 After visiting Dwejra Bay, we headed to the Citadella the last one of the things to do in Gozo during one day. Victoria Citadel was my second favourite point of interest in Gozo, just after the Tal Mixta cave. I would definitely recommend you to visit Victoria Citadel during sunset, as you might see some of the most beautiful views in Europe! The sunset was really impressive, and you can also have dinner inside the Citadella if you wish (just like we did). After visiting Victoria Citadel, we drove around the city Victoria (Rabat) and headed back to the ferry. Is the Blue Lagoon in Gozo? No, Blue Lagoon is located near Comino island, and to get there, you need a separate ferry. Learn how to get from Malta to Blue Lagoon aka Comino island in this post. What are the best restaurants in Gozo? There are plenty of restaurants in Gozo. However, some of them don’t work all day long or on certain days, and some others close quite early. I would recommend a restaurant that is located inside the citadel of Victoria (it was affordable and good). However, some other Gozo restaurants to try on are Ta’Frenc, Azure Window restaurant and the Boathouse. Did you find this post useful? Save it on Social Media!